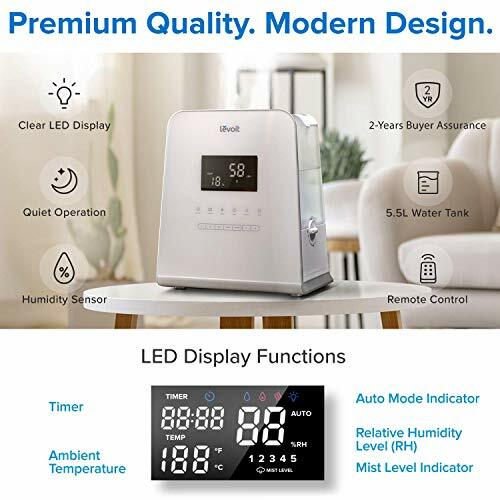 LARGE CAPACITY & HUMIDIFYING FASTER: Large capacity allows for up to 36 hours continuous use of the humidifier. 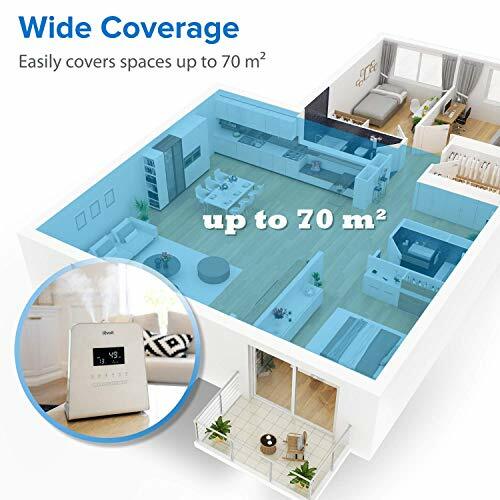 Covers up to 60-70㎡ in large room, bedroom, living room, or office. 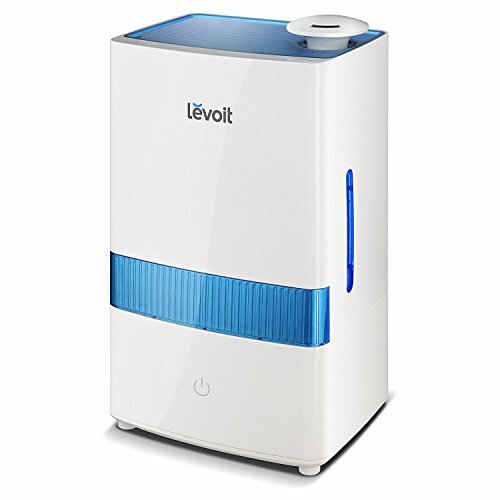 And with a super high mist output up to 450ml/hr, moisturizing the dry air faster. 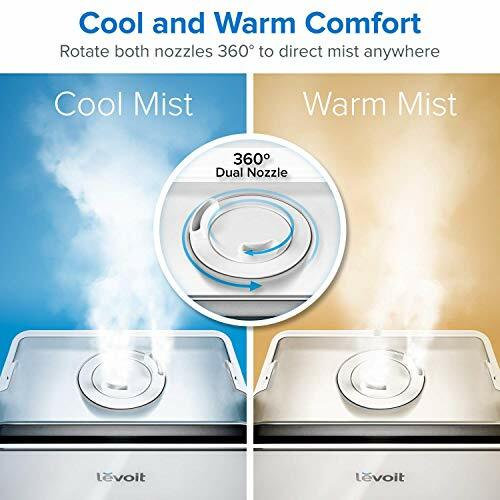 Adjustable dual 360° nozzles evenly disperse mist in any direction. 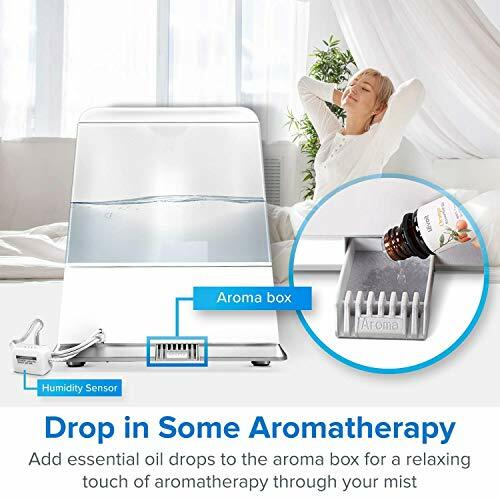 AROMA DIFFUSER & EASY TO USE AND CLEAN: Choose from one of the many available humidity settings, or transform the humidifier into an aroma diffuser by adding a few drops of essential oil into the aroma box. 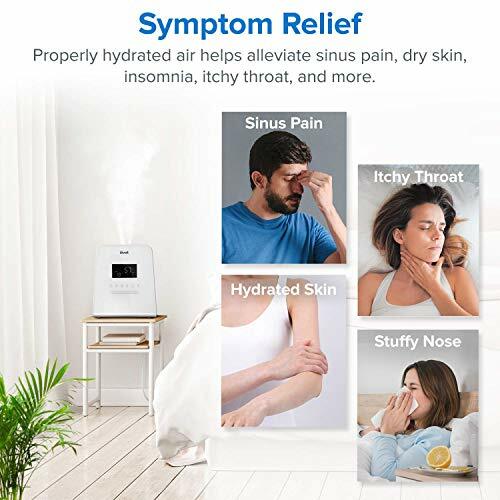 Comes with 2 aroma pads. 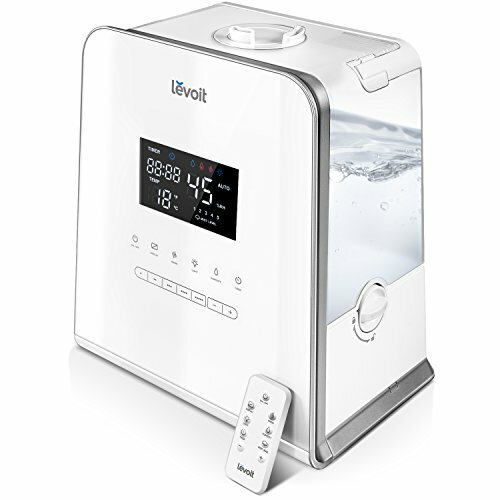 Clean the humidifier once a week and the water filter every 6 months to extend product lifetime. 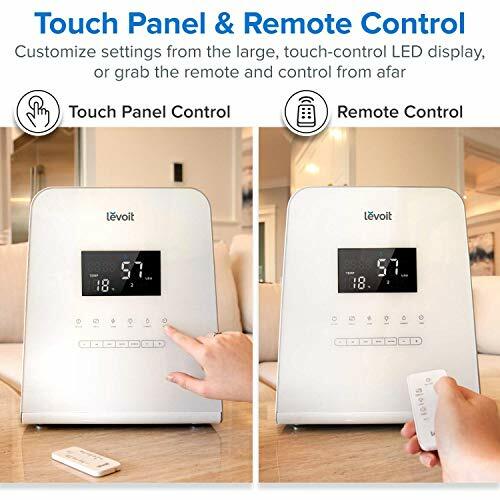 Comes with a cleaning brush, 2-years warranty, and lifetime support from Levoit. 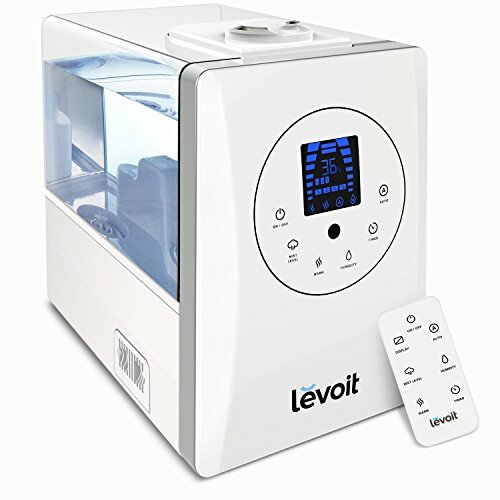 Note: search Levoit Aroma Pads on for replacement.